Gazprom will invest $420 billion in the gas sector by 2030 to ensure enough supplies to the domestic market and exports, its chairman said in remarks published Thursday. Gazprom has said it was considering possible swap deals with a number of foreign companies, such as Germany's E.On and BASF and Britain's BP. Medvedev, a first deputy prime minister, is an influential protege of President Vladimir Putin's who has been widely tipped to run for election at next year's presidential election. Medvedev played down suggestions that he had higher ambitions, saying he was satisfied with his current job. He also forecast that Putin would express his support for a preferred successor at some point this fall. 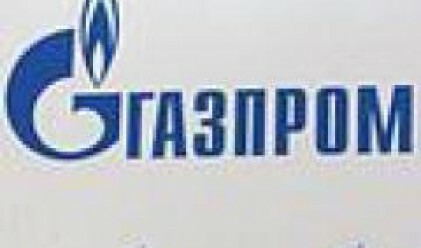 The Gazprom-controlled Sakhalin-2 project said it had started testing its liquefied natural gas plant, a further step toward the country's first liquefied natural gas export sales, scheduled for 2008. The LNG facility at the Sakhalin-2 project will be commissioned, or tested, using gas from Shell's LNG tanker Granosa, which docked at the plant's jetty in Prigorodnoye earlier Thursday, project operator Sakhalin Energy said in a statement. The project also completed installation of a new offshore production platform, the last of three in place off the northeast coast of Sakhalin Island.